Tour includes seven private gardens at six venues open to ticket holders from 9:30 am – 3:00 pm and 5:00 – 8:30 pm, rain or shine! The Village is open to the public for FREE from 9:00 am – 6:00 pm. Shop the Arts & Crafts Boutique, Plant Sale and Fabulous Finds bargain tent. Enter to win wonderful raffle prizes (each valued over $75; awarded after 7pm) and admire the Student Art Exhibit. Garden Walk Tickets: $10 before July 11; $15 on July 11. 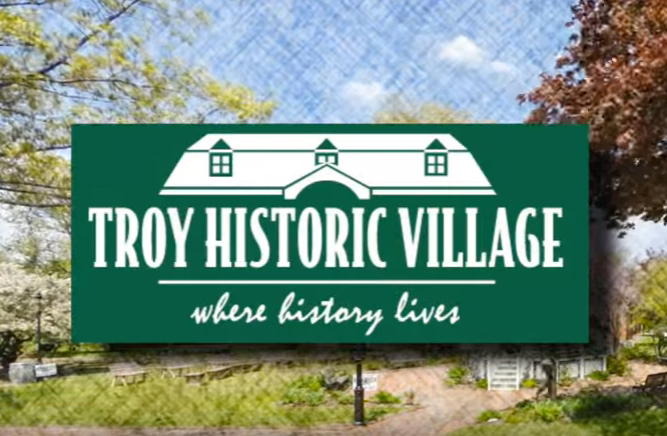 Purchase in advance (cash/check only) from Troy Historic Village, Telly’s Greenhouse, Auburn Oaks Garden Center, or Uncle Luke’s. $15 Day-of tickets available only at the Village. Additional information at www.TroyGardenClubMI.com.